Life is more fun outdoors! And this year, experience a different kind of summer on the street as Bonifacio Global City packed all weekends of summer with exciting activities fit for everyone! 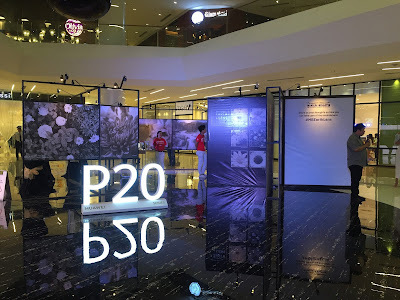 Now on its 11th year, Church Simplified and Bonifacio High Street bring back “Walkway: Reflections on the Stations of the Cross,” an interactive exhibit along the stretch of Bonifacio High Street depicting how Christ lived. This will be capped off by a concert on Easter Sunday with artists Unique Salonga, Urbandub, South Border, Aia de Leon, and Barbie. Admission is free. Bite Me Manila is back with more food and surprise performances for 2019. Happening at the C1 Park, discover new foodie finds to satisfy your discerning palate. Jim Beam will also be introducing its new drinks at the Amphitheater. Grab your friends ‘cause there’s nothing like great food and good company on a chill weekend night! Sponsored by G Active flavored electrolyte water, Bonifacio High Street will transform into a giant fitness playground that offers a variety of free active lifestyle and wellness activities. Supplement this with a healthy diet from the organic fair and you’ll be on track in achieving your fitness goals. Nurture your kids’ passion for arts and music with fun activities like YouthStock!, a Coachella-inspired event for tweens. Kids (and kids-at-heart!) will be treated to a weekend of art activities, musical performances, and loads of fun! Celebrate Mom and give her a very special treat she will remember. This Mother’s Day, BGC is staging Hey, Momma! by Mommy Mundo to treat Moms to a whole day of fun activities. Shutterbugs and artists unite as Camerahaus holds a special weekend for exhibits, workshops, and talks that will celebrate everything about our visual culture. Before summer ends, say “Mabuhay” to Germany in BGC as the street fair comes back to showcase the best products, food, and culture Germany has to offer. With the theme “New Heights,” expect a wide range of activities and lots of surprises from its organizer, the German-Philippine Chamber of Commerce and Industry and other partners. There’s no denying how catchy and dance-y K-pop tunes are and if you admire these talented Korean stars, don’t miss the fan meet up happening right in BGC. Just prepare your hearts and keep your fingers crossed ‘cause there might be special surprises like musical performances or ticket selling for upcoming concerts and tour dates. Could your favorite K-pop star be flying in?